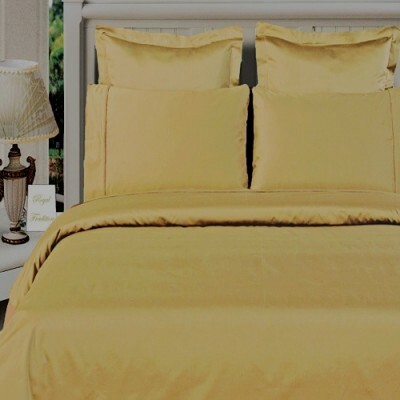 Wrap your self in the softness of the luxurious 100% silky bamboo duvet cover like those found in royalty homes. You won't be able to go back to cotton covers after trying these 100% bamboo with 400 Thread count. Amazingly soft, similar to cashmere of silk. 60% more absorbent than cotton. Sustainable, fast growth rate over 1 meter per day. Requires significantly less pesticides than cotton and is naturally irrigated. Natural anti-bacterial and deodorizing properties. King/Cal-King Comforter Cover Set Includes: One Duvet Cover 106x92", Two King Shams 20x36" Each and One Down Alternative Comforter 106 x 90"